This is what I wanted, this is what I prayed for. 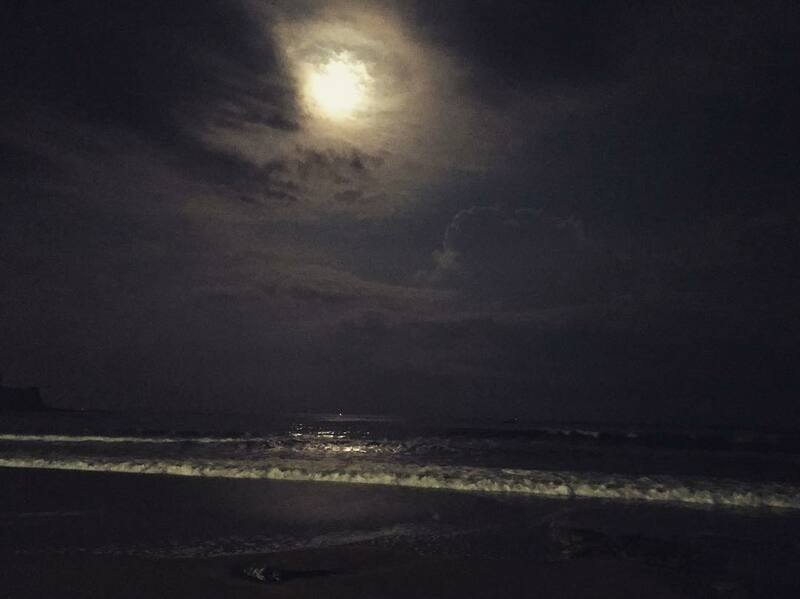 This is what I can live for “The moonlight & the ocean”. Do you guys know how beautiful you look? Do you realize without moon an ocean is nothing but just vast of water? The moment you two meet is the moment you make us love each other. Come to my side, sit beside me and see the world I’m going to tell you; what you do to us. Walking side by you, touching of the waves shivers down the spine. The sand playing with the feet, those waves just kiss and runs away. If this isn’t love, then what? Don’t stand still there, come hold my hand, let me walk you through the way. The first brush of your finger on my skin trying to escape, don’t please! Come closer, let me smell you. Don’t shy away! Hold me down and see the universe; isn’t it beautiful? See, the moon smiling at us and the ocean dancing. Don’t shy away! They are teasing us. Looking into my eyes, playing with the hair; do you know how awesome you smell? This is the moment I always craved for. Hold me tighter, lets see each other, please don’t close your eyes. Let the moon & the ocean witness our moment of love. Let them see what they do to us! Let them feel the moment of love! Let them feel what we feel for them! Isn’t this what I wanted all my life? !